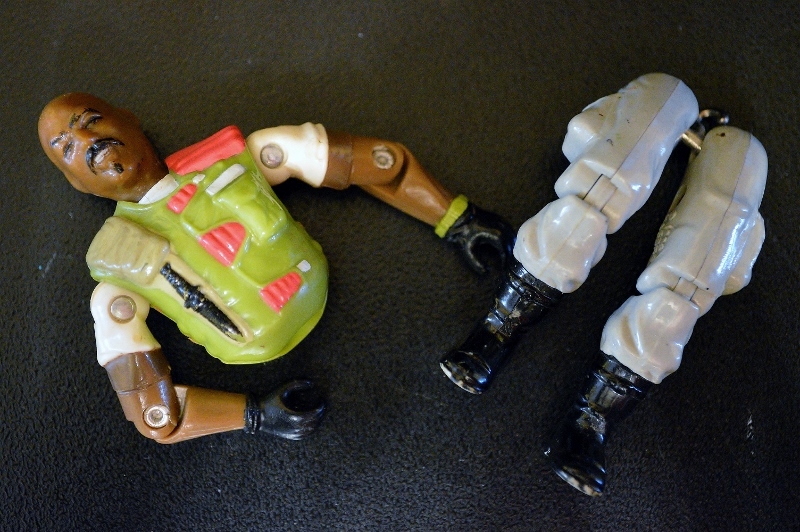 Only remaining parts of my original Roadblock action figure. This one had me feeling fine. 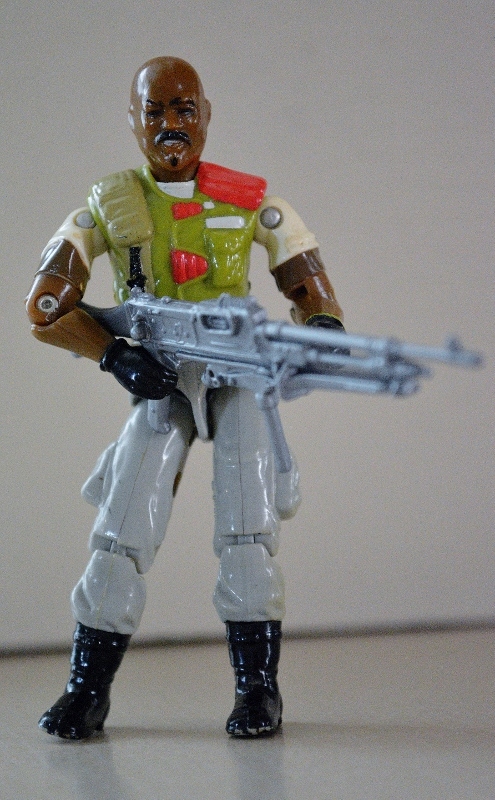 Roadblock is one of my favorite Joes, and that’s no lie. As I pulled together the remnants of my aging G.I. Joe collection, I discovered that I had Roadblock’s torso and his legs, but was missing the poor guy’s waist. 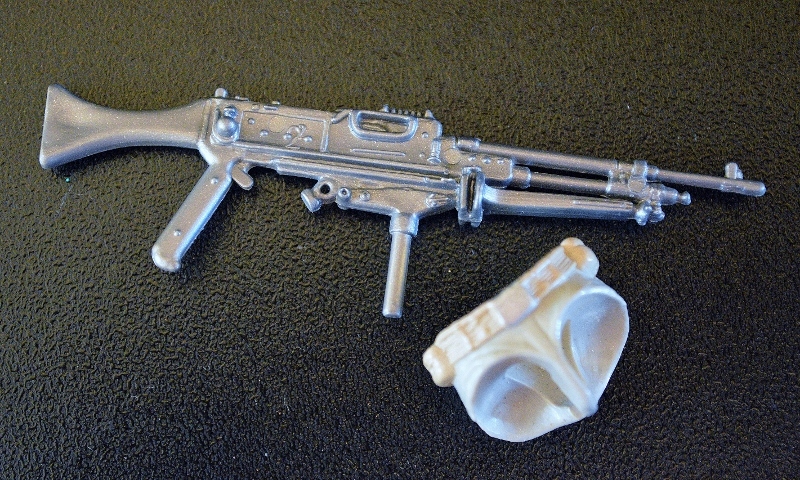 A few eBay purchases later, and I not only had the waist but a few duplicates of his heavy machine gun. Thanks for the new parts, eBay seller. Unfortunately over the years my original Roadblock has vanished. Not really sure what may have been his fate. This second version, released in 1986, was I thought a nice update. Never really dug his original design. The new look came with his featured role in the G.I. Joe movie. He was one of the few original characters to get a significant role in that theatrical release. Roadblock is all geared up. The character was most recently played by The Rock in G.I. Joe Renegades. I didn’t dislike the movie, but it could have been better. Would have preferred to see the role have remained more true to the character, though.